PDF: -- 776K -- Provides the document in Portable Document Format. PS: -- 18M -- Provides the document in Postscript format for printing. HTML: -- 932K -- Displays the document as a web page. presentationEn.pdf: -- 1.4M -- . Libre Services are an extension of the principles of free software into the Internet services domain. They are Internet services that can be freely copied and reused by anyone. The Libre Services model exists in relation to the proprietary Internet services model of Facebook, Youtube, MSN, Yahoo and Google, in an analogous way to how GNU/Linux exists in relation to Microsoft Windows. b The concept of âAutonomous Libre Servicesâ focuses on preserving privacy by providing control over information to users with safe guards of functional transparency, information portability and non-retention controls. The concept of âFederation of Libre Servicesâ focuses on interactions amongst Autonomous Libre Services and faciltation of information aggregation amongst Libre Services. Beyond ideology, we are building real-world implementations, deployment and usage in the form of ByStar Federations of Autonomous Libre Services. My name is Mohsen BANAN. I offer you these thoughts as part of the Internet Engineering Profession’s responsibility to Society and Humanity. I solicit your feedback and welcome your comments. The title of this presentation is xxxx. With your comments and feedback you can reach me at: contact or email me at feedback@mohsen.1.banan.byname.net. This document is web published as PLPC-180011 at: http://www.by-star.net/PLPC/180011. This document is also available in Farsi/Persian. French and Arabic translations are in the works. American Public Made a Deal with American Corporations. Americans got there with no discussion of long term social consequences. No discussion of Sociology, Social Psychology, Morality. Mr. Zuckerberg (Founder of Facebook) Has Done More Harm To The Human Race Than Anybody Else His Age. And He Was Celebrated As “Person Of The Year” (Time Magazine). America is mostly an Economic Society. And now this American Disease is spreading through out the world. Networks are societal resources and their usage model must not be left to free markets and business. The Internet is today controlled by large corporations, and critical civil liberties are being compromised. 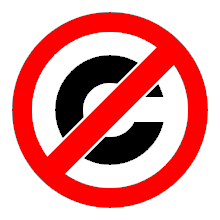 Current Copyright and Patent laws are in conflict with nature and are harming humanity. As first generation engineers we have a responsibility to safeguard the societal welfare. Is All Within Our Scope. But Now The Game Has Changed – Software has mostly become Service. Software is inherently collaborative and cumulative. Service is inherently remote and isolated. By* is a coherent framework for enabling complex interactions among people, businesses and information. English/Globish needs the word ”Libre”. In this document, we generally avoid the word free. While All Is Supported, The Guarantee of “At User Premise” option should always be maintained. All of These ByStar Autonomous Services are available as Shared Hosting, Dedicated Hosting, Colocation and ByStar Appliances. Today’s Industrial Internet Application Services are generally Central and Middle-Controlled. The Convivial ByStar Libre Services are generally End-To-End and Middle-Light. The most important benefit of the end to end arguments is that they preserve the flexibility, generality, and openness of the Internet. Movement to put more functions inside the network jeopardizes that generality and flexibility as well as historic patterns of innovation. A new principle evident already is that elements that implement functions that are invisible or hostile to the end to end application, in general, have to be “in” the network, because the application cannot be expected to include that intermediate element voluntarily. complete separation of queuing and spooling from submission, delivery and protocols. What Does “Profession” Mean? It also includes Societal Responsibility. Blog, photo gallery, GeneWeb, etc. Just respond to the prompts. Take full advantage of the Domain Notation depth. How do you efficiently manage/administer/support a cluster of 20 or more Linux boxes? Consistent Administration of Software Components enforced through seed modules. NOTYET, qmail figures come after this. Direct attack against proprietary competitors. as a Marketing vehicle to promote our functionally equivalent services which we call ByStar Libre Service. The scope of ByStar is ALL Internet Services. The equivalent of MSN, AOL, Facebook, Linkedin, ... All combined. This is possible with a model inversion (from Proprietary to Libre) which brings the collaborative and cumulative characteristics of Free Software to Libre Services. Lots of Coherent Established Assets + A complex business model based on rejection of patents and copyright + Rare fitness to execute this particular model. East – Conviviality, Halaal and Libre are more Eastern. The West is too deeply committed to IPR and pure economic models and self. Software-Service Continuum – Transparent Software and Transparent Service permits continuity of Service and Software. This is where the proprietary model looses. This document was produced with Halaal Software and is published using Halaal Internet Services.